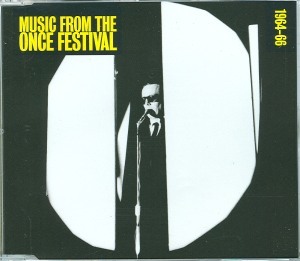 Music From The ONCE Festival is a beautiful 5 CD box released by New World Records in September, 2003. These almost six hours of recordings, most of them of live performances, give us a priceless opportunity to personally experience the ONCE Festivals as a joyous explosion of creativity, exploration, and experimentation in music. The people at New World Records are to be congratulated for this first-rate production. The recordings themselves are fabulous. The music is not mucked up with artifacts from compression, equalization, reverb, or noise reduction. Most are just straight stereo recordings made by U of M radio station WUOM direct to tape, archived at Northwestern University, and now transferred faithfully to digital. This is as close to being there as possible. You can really feel the energy and excitement. At the end of some of the tracks I feel like jumping to my feet and cheering. Other tracks are less sublime. Each recording is unique. Some put the listener in the audience. You hear them react to the musicians, often laughing with delight. You get a sense for what it was like to hear this weird music back in the Kennedy-Johnson years. Some of the performances are closely miked. You feel like you're inside the instruments. You can hear brass and reed players breathe as they work with intensity to get new sounds from their instruments. Everything is experimental - new arrangements of instruments, new ways of playing them, new idioms, new ways to explore time itself. 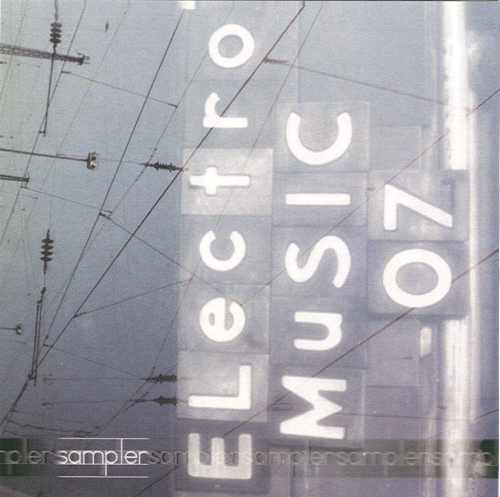 There are a few wonderful early examples of electronic and electro-acoustic tape music. Robert Ashley's The Forth of July (1960) is a gem. This box set comes with a wonderful 136 page book. The notes by Leta E. Miller are key to making these recordings accessible. She provides the background on the times, the musicians, and the performances. The notes are detailed, thorough, and a fun read. There are many priceless photos that catch the spirit of the 60s. There are pictures of performances so you get an understanding of the sets, and there are examples of experimental musical scores - fascinating. The book also contains extensive and informative "composers notes" by Robert Ashley, Gordon Mumma, Roger Reynolds, and Donald Scavarda. I give this CD set my highest recommendation. It has the potential to forever change the way you hear music. This product is available directly the electro-music.com. Buy it - get yourself or someone you love a beautiful gift, and support our site at the same time. In part ONCE was fostered by the cultural richness in Michigan: For instance, Gordon Mumma, one of its founders, played French horn in five amateur and semi-professional orchestras while he was still in high school. ONCE also benefited from its proximity to the University of Michigan, which offered a reservoir of talented performers and composers—although the Festival operated throughout its history independently of (and at times in opposition to) various constituencies within the School of Music. But mainly ONCE arose from the fortuitous and coincidental intersection of a group of enterprising young composers—Mumma, Robert Ashley, George Cacioppo, Roger Reynolds, and Donald Scavarda—who joined forces with an innovative community of visual artists. 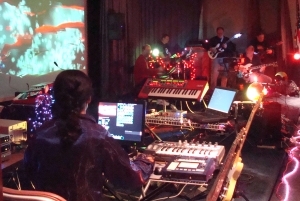 The ONCE Festivals—four to seven performances per year in February and March—formed the centerpiece of the group’s activities. 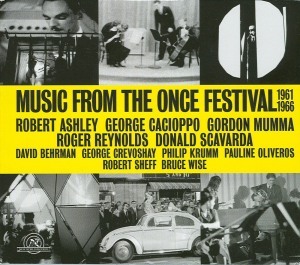 Programs for the first five years (1961–65) list 170 works by 92 composers, most on the cutting edge of the national and international new- music scene. Although it operated on a shoestring budget, ONCE attracted artists from across the country, and even from Europe. The first Festival opened with Luciano Berio, Cathy Berberian, and musicians from Pierre Boulez’s Parisian concert series, Domaine Musical. Pianist Paul Jacobs played solo concerts two years running. Terry Jennings, La Monte Young, Morton Feldman, John Cage, and David Tudor came from New York, as did the Camerata Quartet and the Judson Dance Theater. The Dorian Woodwind Quintet came from Massachusetts, Nancy and Bert Turetzky from Connecticut, Pauline Oliveros from California. Alvin Lucier brought the Brandeis University Chamber Chorus, Jack McKenzie directed the University of Illinois Contemporary Chamber Players, and Lukas Foss came to Ann Arbor with a new-music ensemble from SUNY Buffalo. A group of ONCE artists even performed at the Venice Biennale in 1964. A major slice of ONCE’s rich musical legacy—35 works constituting six hours of music—is presented here, almost all for the first time.